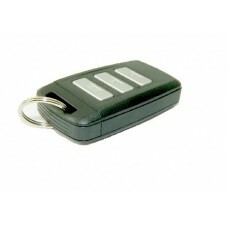 The RC200HD2 key fob camera is ideal for “spur of the moment” covert surveillance. It can record video & audio at the touch of a button and remains inconspicuous when linked to your keys, it can then be placed on a desk, a table in a coffee shop or anywhere you need to record some covert video footage without arousing suspicion. Connect the RC200HS spy camera to your own bunch of keys and then it’s always there when you’re out and about – just in case! The built in rechargeable battery can last for a little over an hour and the 8G micro SD card supplied will hold around 4 hours of video footage. It records at 1920 x 1080 resolution and in full 30fps real time. This key fob spy camera can also take 5MP photographs at the touch of a button. A USB cable is supplied for connection to your computer to recharge the battery and/or to playback your recordings. Recorded footage can all be time and date stamped too, in case required as evidence etc.